SCCWRP is a research institute focused on the coastal ecosystems of Southern California from watersheds to the ocean. SCCWRP was formed in 1969 to enhance the scientific understanding of linkages among human activities, natural events, and the health of the Southern California coastal environment; to communicate this understanding to decision makers and other stakeholders; and to suggest strategies for protecting the coastal environment for this and future generations. To achieve these objectives, SCCWRP will collaborate with local groups who wish to obtain and share ambient water quality monitoring data on a regional basis, and encourage their use of the SCCWRP Data Center. SCCWRP currently is working with members of the Stormwater Monitoring Coalition, which includes both stormwater regulators and dischargers, to obtain current and historical water quality data for streams and rivers. This data will then be incorporated into CEDEN to allow large-scale comparisons with other regions throughout California. 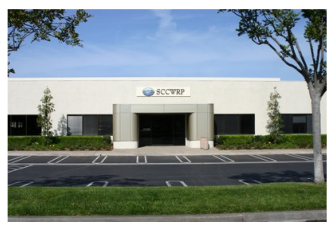 SCCWRP also is collaborating with various citizen-monitoring groups in southern California to add their monitoring data to the SCCWRP Data Center. SCCWRP will continue to work with local monitoring groups in Southern California with the goal of expanding participation and the extent of data collected. Please visit our Data Submission page if you wish to submit data or learn more about the SCCWRP Data Center.